So for the longest time I have wanted Eldar Corsairs. I simply want a non power armor army, I am infatuated with the Eldar race, and I think pirates are cool. However I never got the Forgeworld book with them. Now with 8th edition I may bring some to the table but before that I was hoping to get some help and ideas. Anybody else going to give them a shot? Somebody have the rules that could shed light on the strengths and weaknesses of Corsairs? Do I need the GW index with Eldar and the FW Xenos index too? See anything particular unique and fun that can be done with them? Anything will be most helpful. I'm not sure how Corsairs work in 8th, afaik you won't get a full army list with the Index? I would probably use the Ynnari rules for Corsairs in 8th (so you can mix all three types of aeldari + Yvrainne and Visarch because they fit stylewise quite well! ), and just add the FW jetbikes and corsairs with jump packs? I personally love my corsairs. They were so incredibly agile last edition because of all the jetpack moves and their blades edge ability. They also had tons of weapon options, and it was 2 specials per 5. And they could take a brace of pistols. And the table of contents for the new forgeworld book has all the HQs missing and a special unit also missing. Edited by Captain Coolpants, 18 June 2017 - 03:40 PM. So it looks like you will need the FW Xenos index which lists several corsair bands in the index. I was planning on doing some Corsairs as well but I'm going to wait until I can see if they actually have enough flavor in 8th to make it worth it. The Eldar Corsairs as presented in The Doom of Mymeara were an incredibly fast and agile army, focusing on that aspect of the Eldar theme at the expense of the specialists that both their Craftworld and Dark kin utilized (aspect warriors, wyches, incubi, reavers, etc.). The Corsairs focus on a more generalist fast attack sort of army. Of course, you can mitigate their limitations by filling holes with other Aeldari specialists in 8th. I really hope they do have their own list still. 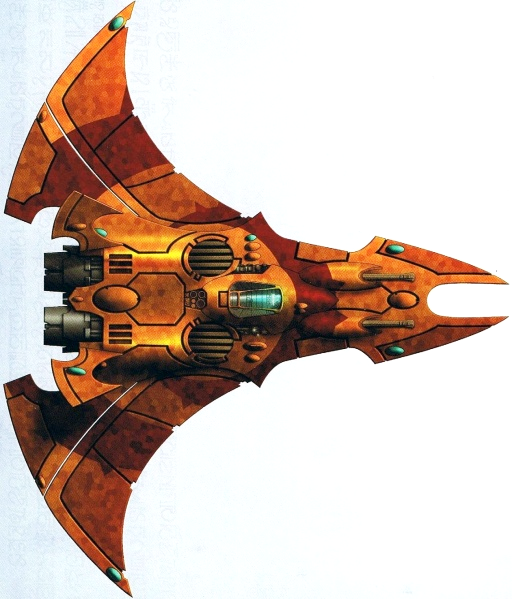 I may look into the Eldar alliance (I am still learning the new names) but I am holding out for some actual corsairs. Yeah, the corsairs seemed so tantalizing both rule and fluff wise. After their update they seemed to have some fun cards up their sleeves too. I was just hesitant to buy the book and start them up. Almost bought one before the announcement on 7Ed books would no longer be usable. I also just realized that the new IA book isn't even out yet, only on pre-order. I feel like a dumb-dumb because I was hoping someone may have it. I am concerned that the HQ's are not listed as well. Is this because they did not have physical models? Thanks for sharing that. I saw they posted the book up but did not think to check for pictures. I may be on the same boat as you. I really want to start them up but I don't want to invest the time or money if I do not like how they play. I really wouldn't mind a fast attack army. Having played shooty EC since 6th edition I could use a change of pace. And with how all Eldar seemed to mesh together I wouldn't mind borrowing goodies from the bigger armies. Thanks for the info gang! And enough guys for a standalone force anyway. Yeah, that's what I was afraid of. Hopefully at some point they'll do a reprint of Doom of Mymeara with an updated list. If there was ever another eldar group that might tempt me away from Saim-Hann, it's the Sunblitz Brotherhood. The name is kinda awful but my goodness, that paint scheme. Yeah, I'm in the same boat. I couldn't afford to start them when they first became available and then they pulled the range when I finally had enough scratch to at least get a small force going. I hope FW brings them back. Can't even find chinacast of them sadly. Keep looking. I have seen some. I went a different route and used mostly 2nd ed Guardians, warwalkers, etc. The only FW is the Nightwing and a trio of Hornets. When in doubt- Grey Mage. Also, Hammernators are for pansies. There, I said it. So is there any info from the FW Index Xenos to make corsairs into an actual army again? I really liked how they were Elf pirates. There are three types of squads in the FW Index -- Reavers (Infantry), Skyreavers (Jet Pack Infantry), and Cloud Dancers (Jetbikes) -- but no HQ and no army list. I expect we'll see those eventually. Hopefully. This is terrible news...seriously ruins the plans I had to build a whole Corsair warhost...my hopes and dreams are annihilated. This is highly annoying! I already have my corsair force and they're currently unplayable. What happened to everything being usable and not obsolete? They've removed all the HQs, the melevolent band, the voidstorm band, balestrike band, corsair faction vehicles also, their psychic powers... I'm verrrry sad. I'm only going off what I've heard so far, I'd like someone to show me the actual pages because I'm not going to buy the book for 3 messily entries. Yup, also very, very disappointed in the FW Xenos book concerning corsairs. So much for that corsair prince idea I had. Im sure theyll come back by this time next year. FW has a habit of not putting out rules for things and pulling rules that already exist when theyre about to redo something. Id note the SW character from DoM is also missing: Bran Redmaw. Maybe its a sign well get an early redo, which is far better than an index hold-over! But at the moment, even if you wanted to add them into your aeldari lists, it still doesn't really work. Because of the whole keyword system, no buff auras work unless you have a "craftworld" keyword, which corsairs don't, and again for transports. Unless there is a craftworld, they cannot get in. Edited by Captain Coolpants, 24 June 2017 - 08:38 AM. Convert it anyway-- that atrocious index isn't going to stop me from finishing my prince conversion and it shouldn't stop you either BCK. You're a very imaginative and creative converter, I'm speaking for many when I saw we'd love to see your conversion! The indexes may be just what models already exist, with the exception of SM HQs that the explicitly called out getting rule sin the index despite having no model. At least that's whats keeping my poor Corairs warm at night. I'm glad Ynnari got toned down because I'm stuck with them until the potential "Doom" update. Reading through the forgeworld xenos index this morning was demoralizing. I sincerely hope they get it together and work corsairs into a useable faction, because as it stands right now corsairs only have troops choices. Edited by The_Chaplain, 26 June 2017 - 10:33 AM. Can Forge World Units take SIA?